In Detroit, A Fight Over Iconic School's Future For 90 years, as many as 4,000 students at a time -- ranging from John DeLorean and Ron Carter to Ellen Burstyn and Diana Ross -- attended Cass Technical High School. But it was closed six years ago after a new school was built next-door and is perilously close to demolition. The fight over an iconic high school may be coming to a head in Detroit: Cass Technical High School was closed six years ago after a new school was built next-door, but the old building has an impressive roster of alumni who are now trying to save the building even as wrecking crews have begun to do their work. Cass Tech's architectural style is called industrial gothic. It is eight stories of gray brick, limestone and marble. For 90 years, as many as 4,000 students -- ranging from John DeLorean and Ron Carter to Ellen Burstyn and Diana Ross -- at a time attended school in the building. One of them was comedian and actress Lily Tomlin. "It was a very special school," she said. "You know, it could have been anything -- housing or anything. I don't why they demolish these places to make a parking lot." From where architect Michael Poris is standing, you can see the new Cass Tech building that opened in 2005. But he fixes his gaze instead on the arches of the old building next-door. School officials never fenced it off or boarded it up, so vandals have had their way with it. But with the roar of Interstate 75 in the background, Poris says it's still structurally sound and should be redeveloped. "You could create an art center for artists in Detroit, which we have a lot of," he says. Cass turned out two Miss USA's and notable scientists, business leaders and musicians too numerous to list. One contemporary is Jack White of the group The White Stripes. "I played marimba on one of my albums, and I learned how to play marimba in a class at that school," White says. "They had a marimba there and we were expected to learn a scale on it. 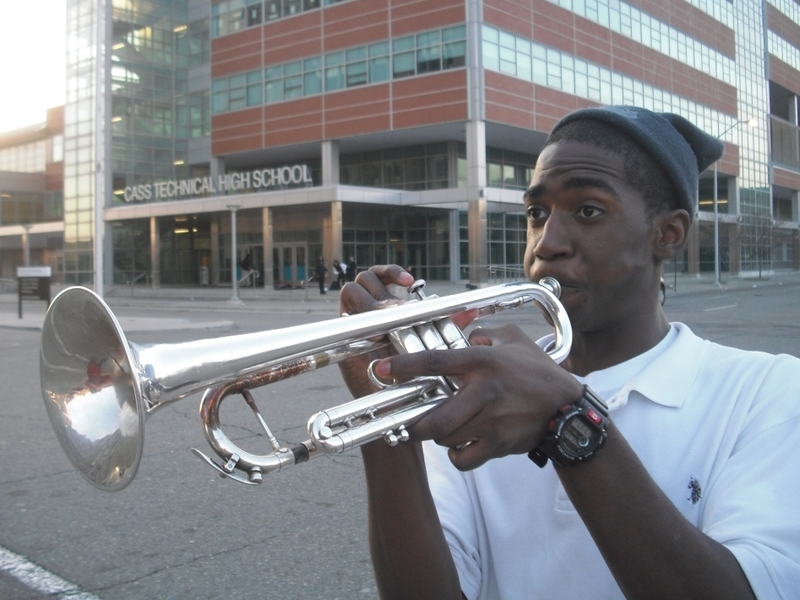 But nostalgia for high school hasn't translated into keeping Cass Tech from the wrecking ball. City officials announced this week that they would close half of the Detroit public schools, in part because of a school budget deficit topping $325 million. But they are still ready to pay at least $3 million to tear down Cass Tech. Tammy Deane of Detroit Public Schools says administrators just don't want to be responsible for it anymore. "Cass Tech is a different story because it is right next to an open school with our kids in it," Deane said. "Our kids have to walk past it every day. We've got it constantly being vandalized, constantly being broken into. It's a safety issue." Demolition crews are using generators to help rip out the metals and equipment still left inside. Litt has been trying to rally the 60,000 alumni for money and ideas. 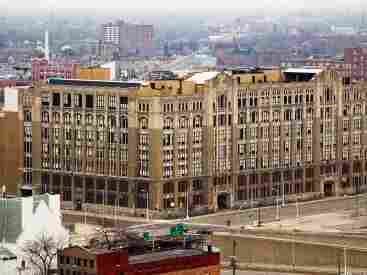 There is one developer, though, who appears interested in saving the old Cass Tech. Baron flew to Detroit on Wednesday, prospecting for tenants and trying to raise the $150 million it would take to redevelop Detroit schools' most famous building.